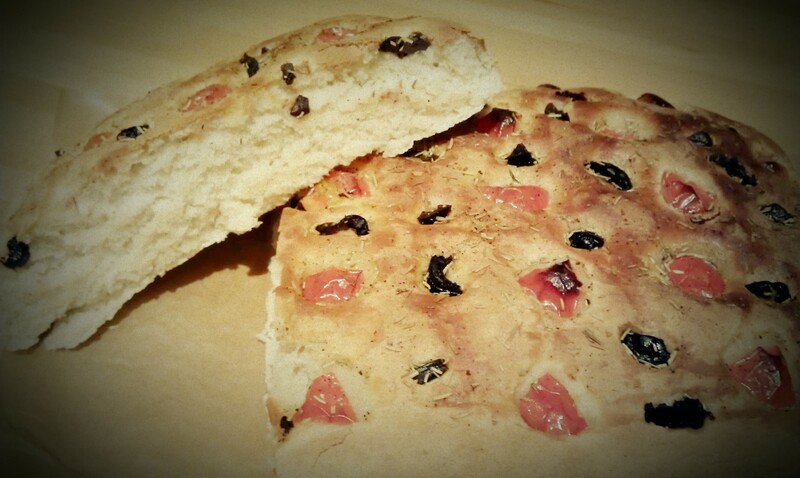 Focaccia: mediterranean flavours | HOLY FORK! What’s the best way to end a busy and super funny weekend? Easy: bake something tasty and possibly that reminds you of your home country. 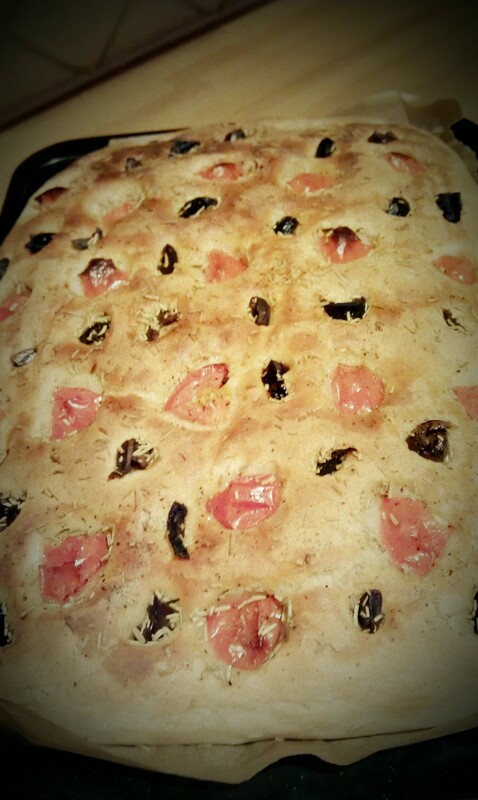 Olives, cherry tomatoes, olive oil and rosemarine…mmh I love them! Yesterday evening when I came back home after having watched the Wimbledon final in a local pub, I opened my cupboard and luckily I had all the ingredients I needed…well, almost. I didn’t have any yeast, but hey, one of the things I love about London is that you can find anything anywhere, at any time. For the dough I used around 600 grams of flour, one sachet of dried yeast, one glass of milk (I found out it makes the dough softer) and a pinch of salt. First you have to melt the yeast in a glass of warm water (please note that the water should not be too hot or it will destroy the yeast’s effect), when ready pour it over the flour and start mixing. When all the water has been absorbed, pour the milk (better if slightly warm) and keep mixing till you get a smooth and soft dough. Place it on a baking tray (the same one you are going to use to bake it) and let it rise for about one hour. Advice: warm up the oven for a few seconds, turn it off and put the dough…this will make the rising process faster! Once the dough has doubled its size you can start dressing it. I normally put olives, cherry tomatoes, a hint of rosemarine and pepper, and I finish everything with some olive oil. This entry was posted in Food, Recipes and tagged Food, Pizza, weekend by Holyfork. Bookmark the permalink.